Videos are the most consumed form of content on social media, over and above text and images. Infact, according to wordstream, a whopping 92% of mobile video viewers share videos with others. Imagine what that can do for your brand's reach on social media! However, creating the kind of videos others want to watch and share doesn't come easy. That's why we've partnered with Cinematics to bring you this workshop. Designed with small business owners in mind, you'll learn how to create simple, yet engaging videos of your products/services for your social pages, using affordable tools. 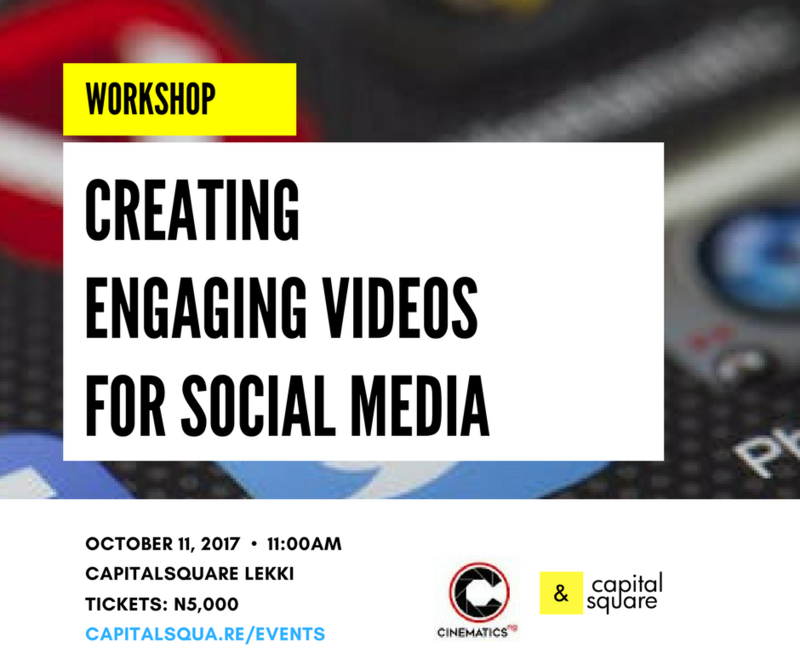 At the end of this workshop, you'll gain the required skills to create share-worthy videos to boost your brand engagement on social media. CapitalSquare members: No payment necessary! Just click on the button below to reserve your seat. Nnanna Adim is the lead cinematographer, Director of Photography and Creative Director at Cinematics, a media company that specialises in event cinematography, creative visuals and classified ads. With passion for telling good stories, he has developed modules that will help SMEs create simple, interesting and compelling videos to effectively market their projects, products and services.